give a fig | Breakfast…or dessert? 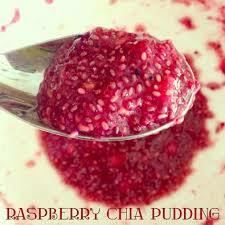 If you haven’t eaten chia pudding yet, you are in for a pleasant surprise! As you’ve likely noticed, I consume chia seeds on a pretty regular basis. They are part of my tri-seed rotation, along side 2 other omega-3 fatty acid compadres: flax seed and hemp hearts. I usually add chia seeds to my smoothies. However, sometimes, I treat myself to a wee pudding. Chia seeds are a terrific plant source of omega-3 fatty acids. These are essential fatty acids, meaning that they are critical for optimal health and we must obtain them through diet. You’ve likely heard of omega-6 fatty acids as well – the reality is that most North Americans actually get too much of this particular fatty acid in their diet. Omega-6 fatty acids are found in saturated fats, meat, grains, dairy, and most processed foods like cookies, cakes, crackers and the like – the basis of the North American diet. The ratio of omega-6 to omega-3 fatty acids is, as a result, completely skewed, unbalanced and thus creates significant health concerns – a pro-inflammatory state in the body that is conducive to disease, including heart health compromise. Your best option is to try to increase the amount of omega-3 fatty acids in your diet to try to help restore a proper balance. The health benefits of omega-3 fatty acids are astonishing – from decreasing inflammation in the body to lubricating joints to improving heart health to enhancing skin and hair to feeding the brain (and helping with depression) to providing overall energy. And so on. Some other top-shelf foods that are chock-full of omega-3 fatty acids include: salmon, mackerel, sardines, and walnuts. Here is a simple, small and tasty dish to add to your morning breakfast repertory or to enjoy as an occasional dessert. It also happens to be very, very good for you! Substitution – you may want to switch up the flavor and try a chocolate-banana combination. Replace the raspberries with 1 fresh or frozen banana, and follow recipe. Yes!